Sourced from small scale farmers and processed in the heart of Sri Lanka, Ma's Fairtrade Coconut Milk is 100% Organic certified by the USDA. Coconut milk is squeezed from fresh coconuts to produce full flavoured and smooth milk, which is perfect for both sweet and savoury dishes. The Fairtrade & Organic Coconut Milk - 400ml product ethics are indicated below. To learn more about these product ethics and to see related products, follow the links below. A great price for organic coconut milk and being a fair trade item makes it even more of a bargain. I always use half a tin and add the same amount of water as it's a much cheaper way to get lower fat coconut milk. Great in smoothies and curries. I found this okay, good quality and lasts well in the fridge once opened; taste-wise, however, I definitely prefer coconut cream. 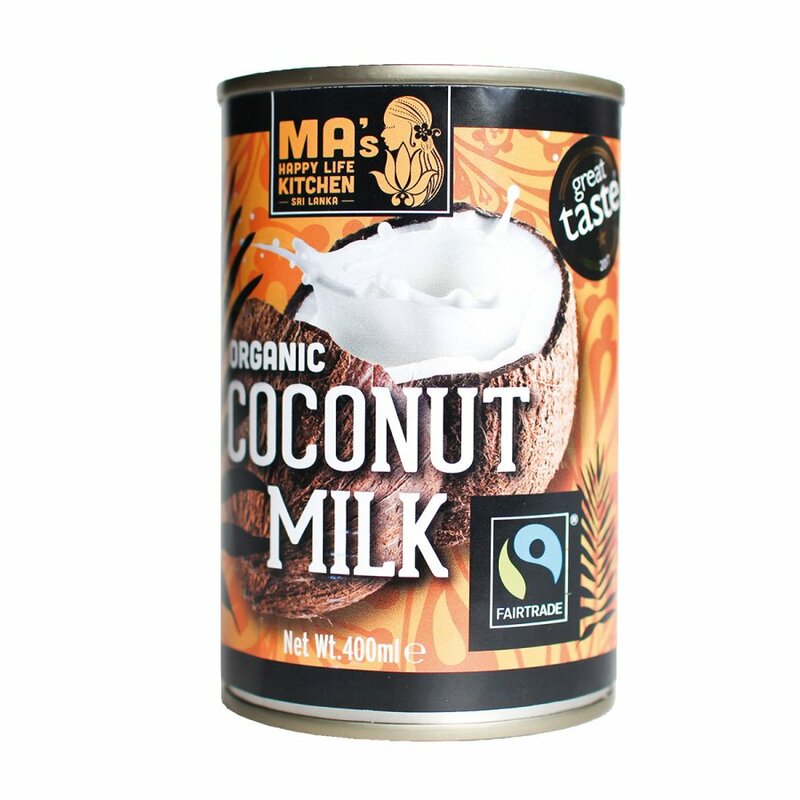 There are currently no questions to display about Fairtrade & Organic Coconut Milk - 400ml.